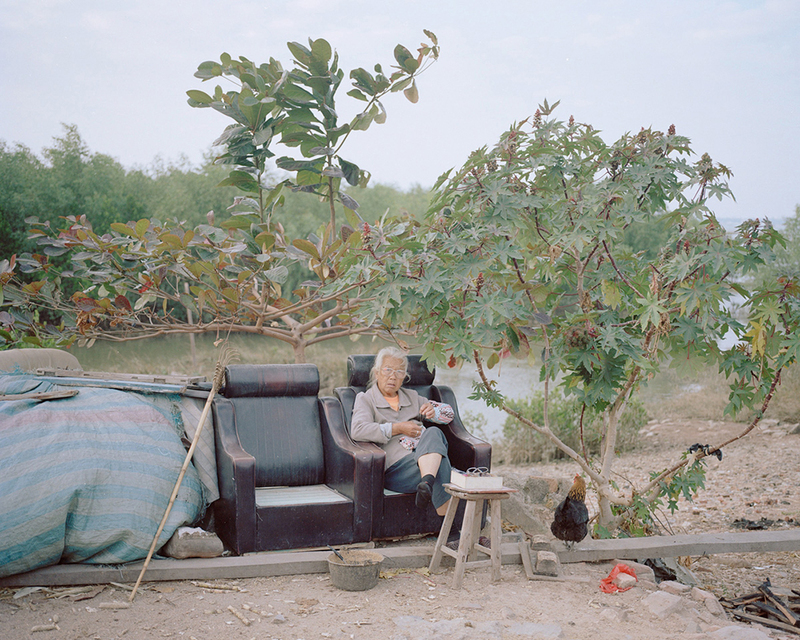 Coastline by Zhang Xiao (China) is a photographic project that presents human life along the Chinese coast as well as some of its negative impact on the natural environment. Zhang Xiao visited dozens of urban and rural areas that sit on the coastline between the Yalu River mouth in the Liaoning northern province and the Beilun River mouth in the Guangxi southern province. The artist seeks to capture the great changes that take place everyday since China began opening up thirty years ago. He is also interested in portraying emotional conflict and exploring the consciousness of his generation. Rapid construction and its side effects are apparent everywhere along the coastal areas. At times the new buildings seem out of proportion with their simple surroundings. Land reclamation and seaside construction are abundant. In the middle of this rushed growth ordinary people continue their lives, adapting their routines to the new conditions. A couple hugs at an abandoned seaside pool. 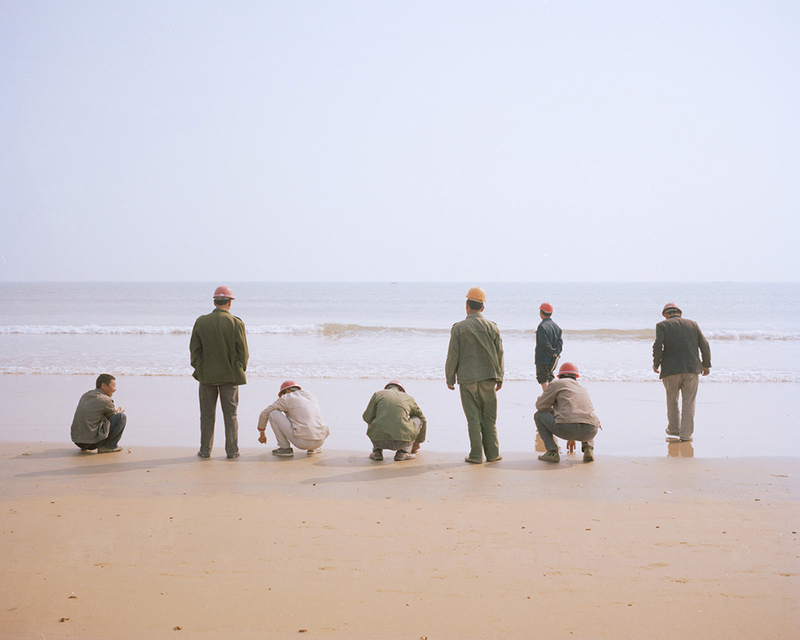 Inland construction workers encounter the sea for the first time. Traditional fishermen work around the new developments. School children play in new but deserted facilities. Swimmers share the landscape with new factories or ports. The environment and the new population have yet to adopt each other. What Earth science ideas inspired your artwork? ZX: Art and science are similar in their ability to create. This sort of ability stems from the curiosity of the mind, which leads to research and innovation. The scientists at EOS use instruments to learn about the fascinating Earth, while artists use their imagination and creativity to express their understanding of the Earth. These two aspects are closely related, and my work relies on the interdependence between the two. My work seeks to combine emotions and empiricism, so that imagination and facts become reality. Does your artistic work provide a better understanding of Earth? ZX: My project during this residency aims to marry scientific knowledge and artistic value, using different media and artistic styles to create an original piece of art. This is different from creating exclusively from empirical values and theories based on real facts. Art and aesthetics can make scientific data more appealing, allowing the public to pay more attention to the Earth. It is only then that we can improve the world. What did you learn from your interaction with the Earth scientists? ZX: My interactions with some of the EOS scientists allowed me to re-examine my project. Previously I used to shoot from the point of view of cognitive science, but after my EOS residency I had new revelations as I pressed the shutter. In the process of shooting Coastline, for instance, I began to notice climate and geographical changes, and I tried to look at these things from a scientific point of view. I began to subconsciously manipulate my pictures to reflect the effects of human actions on the environment. Is this artwork likely to inspire people? ZX: My EOS-sponsored project aims to merge reason and emotion, such that scientific research is made easier to understand through art. I hope that when the audience views my project it will help them to see the potential effect of a collaboration between art and science. Those who value science over art may be better able to appreciate art, or view it in a new light. Those who value aesthetics over science may in turn be more willing to understand scientific concepts. 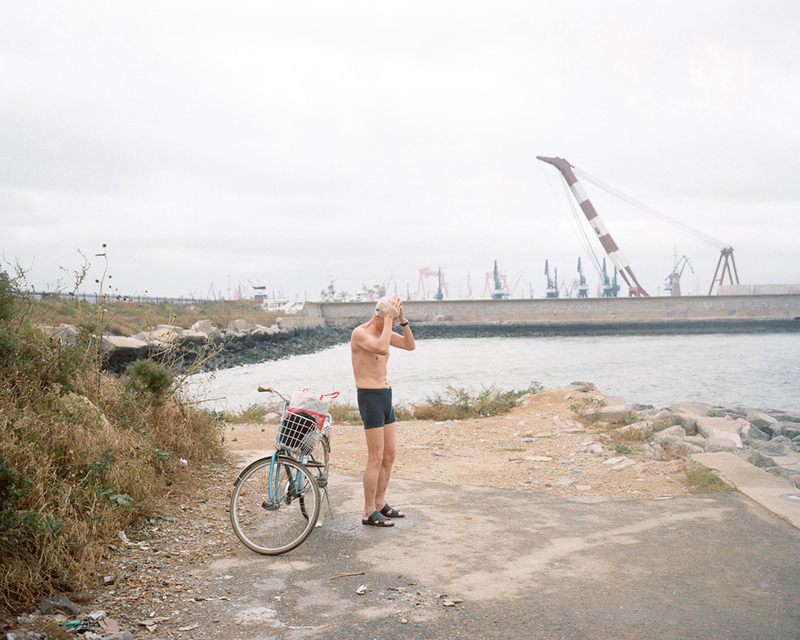 Zhang Xiao is a freelance photographer based in Chengdu, Sichuan Province, China. He graduated from the Art Department at Yantai University, and worked as a photographer for the Chongqing Morning Post for four years. His projects They, Coastline, Envelope, and Subdue have been exhibited widely in China, as well as internationally including Singapore, London, France, and USA.